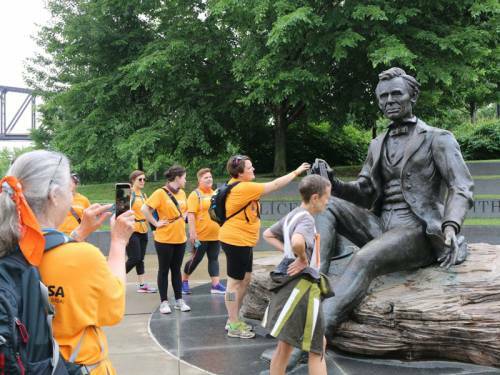 (PNS) With gray and overcast skies above them, a group of 25 to 30 people gathered at the Presbyterian Center in Louisville on Friday morning to begin a two-week trek to St. Louis on foot. The PC(USA) Walk for a Fossil Free World is a joint project of both the Presbyterian Peace Fellowship and Fossil Free PCUSA to stand against investment in the fossil fuel industry. The issue of total divestment from fossil fuels has been a major topic at General Assembly gatherings for years. 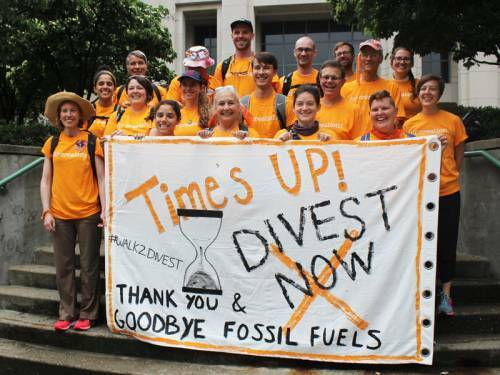 During the 222nd General Assembly in Portland, Oregon, the Immigration and Environmental Issues Committee recommended divestment by a vote of 31–25, but commissioners voted to continue the church’s current policy of corporate engagement in the hope that companies would work with them to reduce pollution. Divestment supporters feel the time for talk has ended and words should be replaced with action. 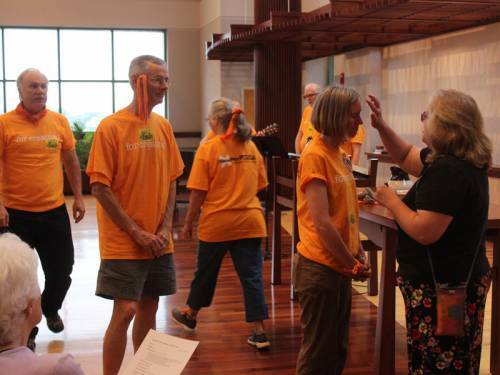 Before the walk began, participants and supporters gathered at the center’s chapel for worship and blessing. The Rev. Bob Turner, stated support for the First Presbyterian Church of Paoli, Indiana, offered words of encouragement. The 260-mile journey will include teach-ins and worship centering around stories and experiences of those working to address climate change. 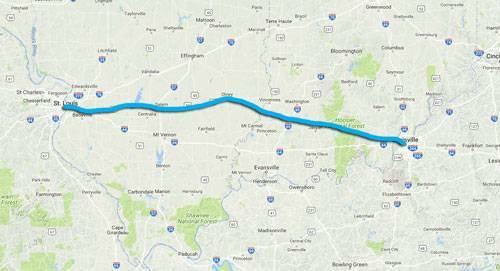 Participants are expected to conclude the walk on June 16. Among those taking part in the walk is Rick Ufford-Chase, moderator of the 216th General Assembly. So far this year, as many as 40 presbyteries have gone on record in support of an overture calling for divestment. However, the Committee on Mission Responsibility Through Investment (MRTI) has argued that divestment should be a last resort and that engagement with the fossil fuel industry is the best way to address the issue. Allen added that pressure has led MRTI to join Climate Action 100+, an international coalition of 279 investors representing $30 trillion in assets. Ufford-Chase hopes commissioners at General Assembly will see there is only one viable option. The Presbyterian Peace Fellowship began in the 1940s to support conscientious objectors to World War II. In 2015, its Activist Council voted to divest its own endowment from the top 200 carbon companies and has worked to help other Presbyterian organizations do the same. Since 2012, Fossil Free PCUSA has worked within the denomination, calling for divestment from oil, gas and coal companies. MRTI was created in recognition of the church’s opportunity to advance its mission through the financial resources entrusted it. MRTI implements the General Assembly’s policies on socially responsible investing (also called faith-based investing) by engaging corporations in which the church owns stock.